The Canadian Wildlife Health Cooperative Western/Northern Region (CWHC) recently diagnosed tularemia in a white-tailed jack rabbit and red squirrel found sick within urban parks in Saskatoon, Saskatchewan. Tularemia is an infectious disease of wildlife, especially rabbits and rodents, which can be transmitted to domestic animals and humans. The jack rabbit was found recumbent in a park, submitted to a wildlife rehabilitation facility and then the Veterinary Medical Centre at WCVM, with a suspicion of trauma. When its condition deteriorated it was euthanized and submitted for autopsy. At autopsy there were no lesions of tularemia or septicemia observed. 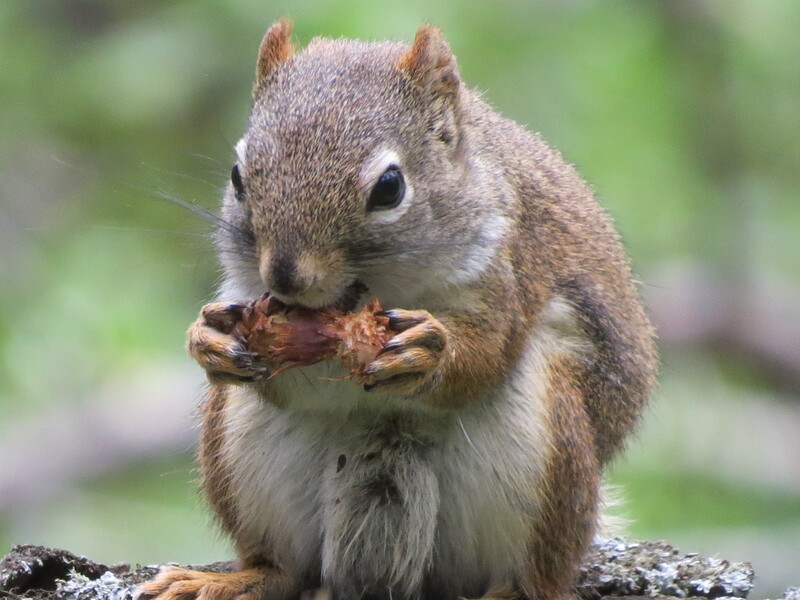 Similarly the red squirrel was found with injuries to leg and tail, but died shortly afterward, and was then submitted to the CWHC for autopsy; characteristic gross lesions of tularemia were also not observed. In both cases a presumptive diagnosis of tularemia was made based on characteristic light microscopic lesions. The diagnosis was subsequently confirmed in the rabbit by the Public Health Agency of Canada, National Microbiology Laboratory, in Winnipeg, and in the squirrel by Prairie Diagnostic Services, in Saskatoon. The rabbit was confirmed as being infected with Francisella tularensis subsp. holarctica (type B). The red squirrel has not been sub-typed as of yet. The CWHC W/N makes the diagnosis of tularemia in a few wildlife cases, usually every year, most commonly in muskrats and beaver. The exception to this was a large tularemia die-off of deer mice, following a local irruption of this species, in south-central Saskatchewan in 2005. In Saskatchewan the subspecies holarctica is thought to be responsible for the majority of cases although typing is not typically done. Holarctica is associated with voles, muskrats and beaver, and transmission is thought to occur primarily by direct animal-to-animal contact or via contamination water or other environmental sites. Blood-feeding arthropods, such as ticks, mosquitoes and deer flies, can be an important route of tularemia transmission but this is most commonly associated with type A or subspecies tularensis found in the USA and eastern Canada. A recent survey of Dermacentor ticks in Saskatchewan did not detect Francisella tularensis; however, they have been implicated in transmission in other areas and at other times. Type A tularemia is most often associated with rabbits and hares, as well as rodents. Many species of wildlife can be infected, with occasional spill-over to domestic animals and people. In people infection is associated with skinning trapped or hunted animals and contact with sick animals. Occasionally there are reports of grounds-keepers becoming infected, and in at least one case it was thought to have been associated with a person running over a tularemia infected carcass with a lawn-mower, aerosolizing the bacteria which was subsequently inhaled. People infected with tularemia may show no clinical signs or may develop flu-like symptoms and recover. There are occasional reports of people dying of tularemia. Fortunately the disease can be readily treated with antibiotics if physicians suspect this as a cause of illness. Streptomycin is the drug of choice. The cases in Saskatoon are noteworthy for a couple of reasons. 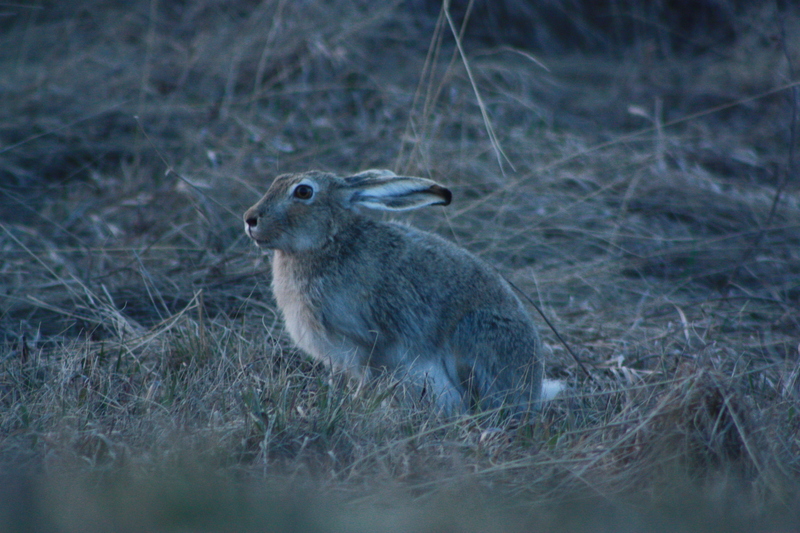 Firstly, tularemia has not been reported previously in wildlife in Saskatoon and it is unusual to make the diagnosis in two different species in such a short time period. Secondly, these animals were thought to have had traumatic injuries and in the first case had been taken to a rehabilitation facility for care. These facilities are commonly run by private individuals, often unaware of potential associated human health risks. People are encouraged to report sick and dead wildlife to the proper authorities so the occurrence of diseases potentially important to wildlife, domestic animals and people can be monitored, and the appropriate response taken. 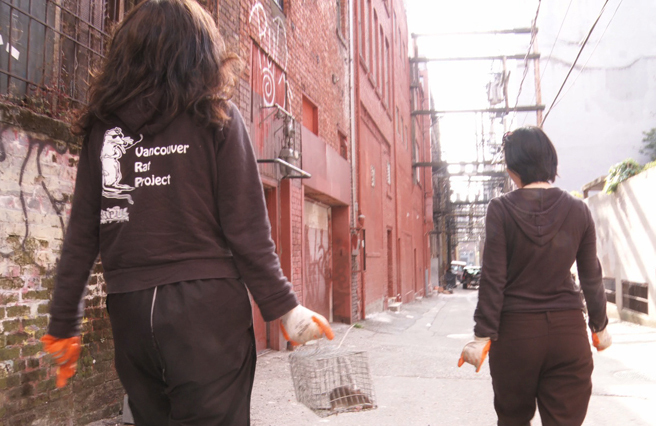 If people handle sick or dead animals they should use protective gloves, or a similar barrier, to prevent direct contact of the animal with the skin. If there is the risk of aerosolization of infectious agents, a face mask and other protective equipment should be worn.